When? August 14th 7 p.m. While Sauk County boasts seven lakes today, only one was naturally made – Devil’s Lake, and it is still the largest by far. Two of Sauk County’s man-made lakes share a connection as they both exist because of the Dell Creek flowage. 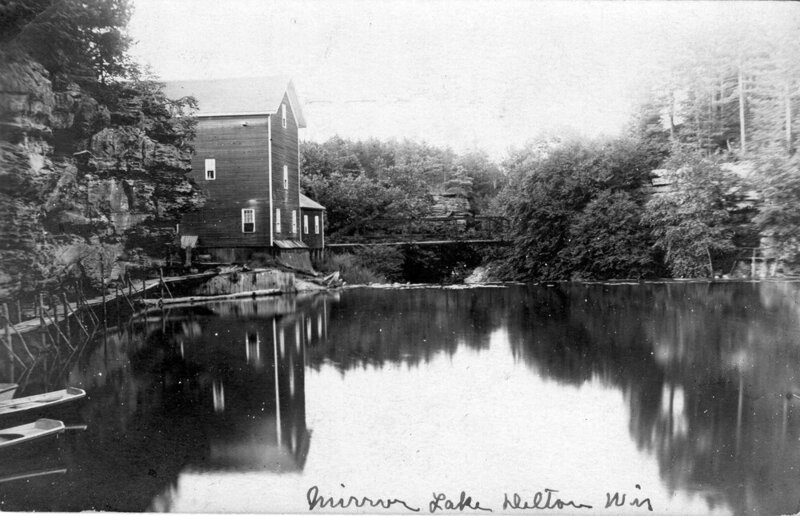 Mirror Lake began in 1860 when a dam was built in a rocky gorge to power a grist mill. Lake Delton was completed downstream in 1927 by Chicago real estate developer William J. Newman who wanted to create a resort community. The stories of the two lakes cover the gamut from the lost settlement of Newport to Ringling family connections. 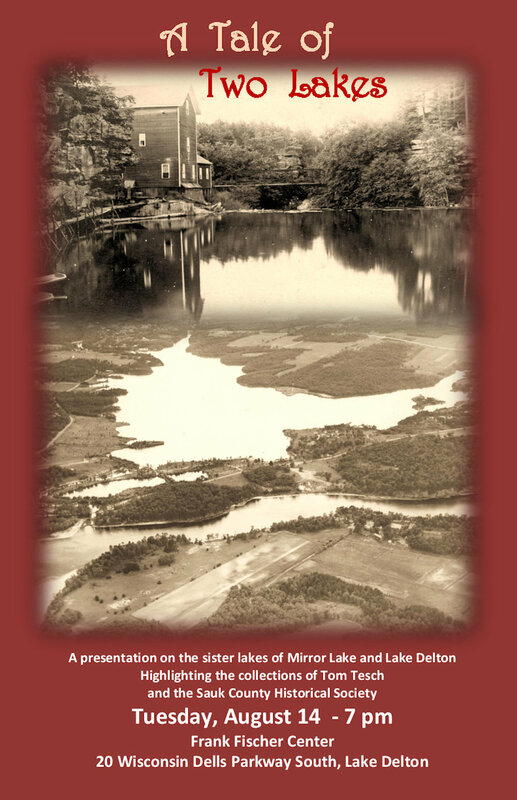 A presentation on Mirror Lake and Lake Delton will be given Tuesday, August 14 at 7 pmat the Frank Fischer Center located at 20 Wisconsin Dells Parkway South in Lake Delton. Both lakes have a rich photographic history and the private collection of Sauk County Historical Society member Tom Tesch will be scanned and shown along with pictures from the 2008 flood which caused the loss of Lake Delton. Pictures of the two lakes from the collection of Tom Tesch and the Sauk County Historical Society will be shown and discussed on August 14 at the Frank Fischer Center in Lake Delton.For more information contact the Sauk County Historical Society at 608-356-1001. Mirror Lake was created in 1860 when a dam was built in a rocky gorge along Dell Creek. Further downstream, Lake Delton was created in 1927.